In this edition, the SigEp Patriots Project (SPP) honors 22 incredible Army, Navy, Coast Guard and Air Force Brothers who served in the Border War - just years after the Fraternity was founded - to the present day. They are from 18 Chapters including a future Congressman, a former Chief of Naval Operations and two additional men who rose to the 4-star rank of their respective service, another who became a legend in the Fraternity, and one fought his way across Europe during WWII, only to be evacuated home after receiving his second Purple Heart. Border War Veteran of Vera Cruz and Virginia Theta Brother Leonard T. Gerow was promoted to First Lieutenant, U.S. Army on this date. Nearly four years to the day later, (then) Captain Leonard T. Gerow completed his WWI service on the staff of the U.S. Army Signal Corps in France. He was Colonel (temporary) in charge of purchasing all the radio equipment for the American Expeditionary Force. For his service he earned the Distinguished Service Medal and French Legion of Honor. Border War and World War I Veteran Colorado Beta Brother Maurice C. Bigelow was commissioned a Captain in the regular Army on this date. On this date, World War I Veteran of St. Mihiel and the Argonne, Virginia Eta Brother Private Joel W. Flood, U.S. Army concluded over four years of service as special assistant to the attorney general of Virginia. Vermont Alpha Brother Donald M. Bagbee, Class of 1931, entered the U.S. Army Chemical Warfare Service on this date. On this date, World War II Veteran and Wyoming Alpha Brother, Class of 1941, Ensign John P. Sodergreen, U.S. Navy died during a training mission about 50 miles north of Oahu while performing a mail drop to the deck of the USS Enterprise (CV-6). His plane hit a gun turret, and John and his radioman were killed. John’s remains were never recovered. Brother Sodergreeen is memorialized at the Honolulu Memorial at the National Memorial Cemetery of the Pacific in Honolulu, Hawaii. Indiana Alpha Brother Robert Sautter, Massachusetts Beta Brother Kenneth Lyons and Pennsylavia Lamba brothers Charles Bisceglia and John Wacker, Jr. In addition, when the Navy called Mr. Frank Ruck, Jr. on this date notifying him that he was being called up and sent to the University of Notre Dame's V-12 program, it set in motion Frank becoming a SigEp. For it was the Navy that would subsequently transfer Frank to Supply Corps training at the University of Michigan, where he would pledge Michigan Alpha and become a brother. Thank you U.S. Navy! North Carolina Delta Brother Ralph G. Templeton, Class of 1938, began his service in the U.S. Army Medical Corps on this date. Michigan Alpha Brother Frank Ruck, Jr. was ordered to pre-Midshipman School in Bayone, NJ. The war ended as he received his commission as an Ensign, U.S. Navy, and he was placed on inactive duty. World War II Veteran and Mississippi Beta Brother Captain David W. Wilkins, U.S. Army was released on this date after nearly three years of service, 18 months of which were overseas. North Carolina Epsilon Lieutenant Charles Henderson, U. S. Navy was discharged on this date after three-and-a-half years of service, 26 months of that was overseas. 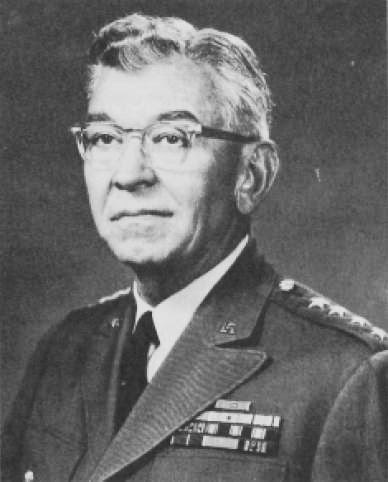 On this date, World War II Veteran and Virginia Zeta Brother (then) Major General Robert J. Wood, U.S. Army began his assignment as the Army's Deputy Chief of Research and Development overseeing projects including antimissile weapons and germ and gas warfare systems. When he arrived in Vietnam on this date, North Carolina Beta Brother Warrant Officer Larry J. Talley, U.S. Army was a member of D Troop, 1st Squadron, 1st Cavalry, Americal Division, U.S. Army. He served six weeks before being killed in action. 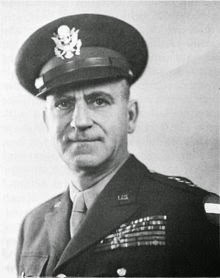 At the age of 49, World War II, Korean War and Vietnam War Veteran Vice Admiral Elmo R. Zumwalt, Jr., U.S. Navy became the youngest naval officer ever promoted to Admiral (4-stars) on this date, and assumed the duties and responsibilities as the 19th Chief of Naval Operations (CNO) – the senior officer in the U.S. Navy. He remains the youngest naval officer to serve as CNO. Exactly four years later, Admiral Zumwalt retired, with 32-year of service. In 1980, Elmo was initiated as a Renaissance Brother by the Connecticut Alpha chapter. According to the SPP archives, Brother Zumwalt is the only Navy 4-star SigEp Patriot, and one of just nine military brothers to reach the top rank in all the services. U.S. Army Air Corps World War II Veteran Oregon Beta Brother Vernon S. White, 88, died on this date. During WWII, Vern served with the 95th Bomb Group. Brother White was a politically committed journalist and served as the editor of several publications, as well as a Republican Party county chairman. His family suggests remembrances to the Vernon White Memorial Fund, c/o Trumpeters, 3236 S.W. Kelly Ave., Portland, OR 97239. World War II Veteran of Normandy, Northern France and the Rhineland Campaigns, Virginia Zeta Brother Staff Sergeant Morris K. Mallory, U.S. Army, 89, died on this date in Virginia. After graduating from high school, Morris volunteered to serve in the Army. He was assigned to the 30th Infantry Division during the aforementioned campaigns, and was awarded two Purple Hearts – the second of which for a wound received in Belgium that was severe enough to get him sent back to the States. After his honorable discharge in 1945, he enrolled at Randolph-Macon College, graduating with a B.S. in Chemistry in 1950. Upon graduation, he worked as a chemist before embarking on a successful sales career. Memorial contributions may be made to the Veterans of Foreign Wars at www.vfw.org/contribute. Respect can be paid to Brother Mallory at Woodland Cemetery in Ashland, VA.
NY Iota Brother Boatswain Mate Third Class Petty Officer Adam Smith, U.S. Coast Guard was promoted to his current rank on this date. On the same date, Operation Iraqi Freedom & Enduring Freedom Veteran, IN Zeta Brother Lieutenant Commander Troy Hanson, U.S. Navy Reserve was promoted to his current rank. * Recently (we don’t have an exact date yet), U.S. Air Force Korean War Veteran and Nebraska Beta Brother David S. Raymond passed away in Dustin, Florida. A celebration of David's life and memorial service will be held at Grace Lutheran Church, 4325 Commons Blvd., Destin, FL, at 11 a.m., July 12, with Pastor Kevin Wendt officiating. A luncheon will follow in the fellowship hall. * World War II Veteran and Virginia Zeta Brother Sergeant Emmanuel Bhatta, U.S. Army Air Corps, 91, passed away30 JUN at the Hospice of the Comforter near Orlando, Florida, after a brief illness. Emmanuel attended Randolph-Macon College on the GI Bill after World War II. Services are scheduled tomorrow at 10 am in the chapel at Calvary Cemetery in Drums, PA. In lieu of flowers, the family requests that donations be made to the Hospice of the Comforter, 480 W. Central Parkway, Altamonte Springs, FL 32714. 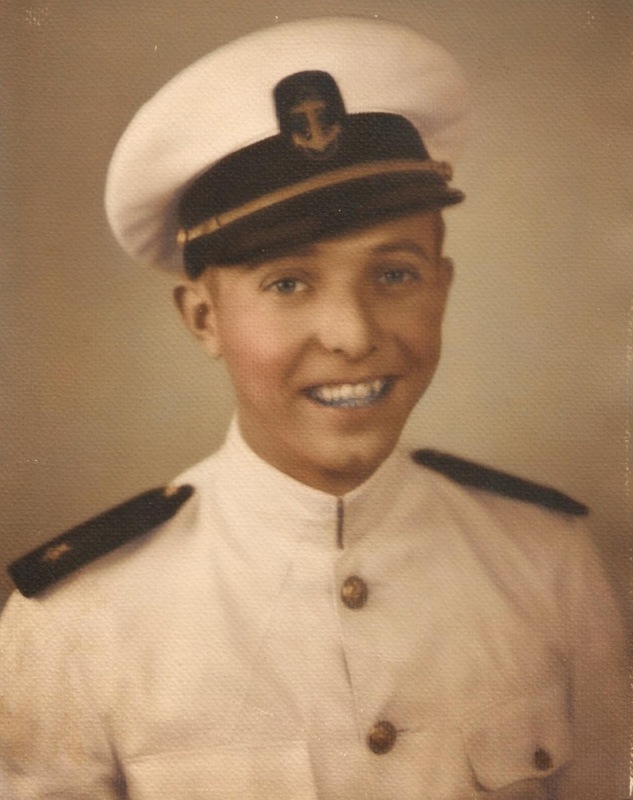 * U.S. Navy World War II Veteran and Illinois Beta Founding Father & First President Paul C. Tietz, Jr., 89 passed away 27 JUN in Park Ridge, Illinois. After high school, Paul enlisted as a Radio Technician in the Navy, and subsequently served aboard a ship in the South Pacific during WWII. * Army National Guard (Vermont) Veteran and Ohio Epsilon Brother John "Jack" R. Griffith, 71, passed away 02 JUL, in Fletcher Allen Health Care in Burlington, Vermont after a courageous year-long battle with esophageal cancer, and ultimately succumbing to a massive pulmonary embolism. Our thoughts and prayers go out to the chapter brothers, family, and friends of Brothers Raymond, Bhatta, Tietz & Griffith. SPP pledges it will never forget you or your service to the nation. ** Last Sunday, ROTC Cadet and Nebraska Beta Brother William Heida officially graduated from LDAC in Fort Knox, KY, and he has been selected to stay there for additional training with a cadet cadre. Best of luck, William! * There are over 100 military brothers on the SPP email list serve, and if you would like to be added there just send me an email. * SigEps Who Serve is the official SPP Facebook group, and the only such group soley comprised of brothers who serve/served in the U.S. military. Such brothers can request to join us at www.facebook.com/groups/sigepswhoserve. * SPP is adding military brothers to the roll every day, but we can always use assistance locating brothers who serve or have served in the U.S. military.